In our era we are familiar with examples of nations that have experienced impressive development because of sudden infusions of wealth from a single natural resource and then faced chaos and decline when the resource was exhausted and no other basis for stability was available. One thinks, for example, of Venezuela and Nigeria where prosperity was tied to petroleum and then slowed radically as oil reserves were depleted, because profits were not used to produced a diverse economy, a sound political infrastructure, and a treasury surplus to sustain the country during difficult periods. One can also think of counter-examples, such as Norway, where profits from petroleum have been invested in sovereign wealth funds designed to ensure balanced development and social equity over the long term. In the middle of the nineteenth century, California had the potential to become a state based too much on one resource, but instead crafted a future that, while not without problems, was filled with great possibility because it was based on multiple sources of strength. In 1848, as a result of the Treaty of Guadalupe Hidalgo, which ended the U.S.-Mexican War, California became a possession of the United States. That same year, extensive deposits of gold were discovered in the Sierra Nevada Mountains in the areas north and south of the Sacramento River and its tributaries. As news of the discoveries spread, huge numbers of wealth seekers made their way to California from Asia, Australia, Latin America, other parts of the United States, and Europe. Even though many people did not find gold, others did, and their stories produced a mania and a single-minded view of California as a place known for quick riches and nothing more. There were, however, more farsighted people who suspected that the bonanza would not last forever; and they asked themselves whether it might be possible to create a more multifaceted California that would not disintegrate after the gold was gone. One of the people who thought rigorously about California’s future at mid-century was Bayard Taylor (1825-1878), a talented journalist whose reporting continues to be a highly informative exploration of the identity of the Golden State. 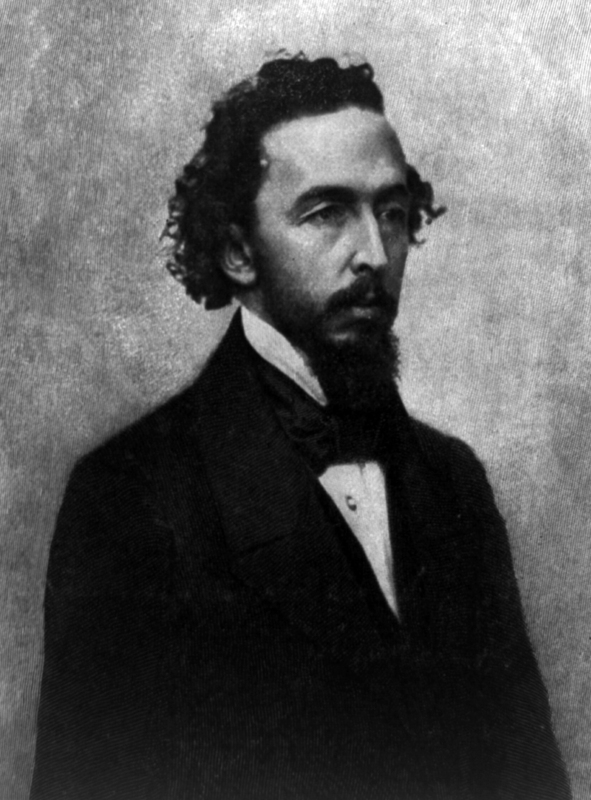 Bayard Taylor grew up in Chester County, Pennsylvania. His father was a wealthy farmer and his parents were Quakers. Possessed of great literary ability, Taylor made his way to New York City where he gained prominence as a poet, travel writer and journalist. During his lifetime he journeyed to and wrote widely read books and articles about many places, ranging from Hawaii to Egypt to Japan. In his last years he served as a U.S. diplomat in Germany, where he died. In 1848, Taylor caught the eye of Horace Greeley, the founder and editor-in-chief of the New York Tribune, which was by the 1840s the most influential newspaper in America. Greeley commissioned Taylor to go west and write articles for East-Coast readers about the new mining regions. 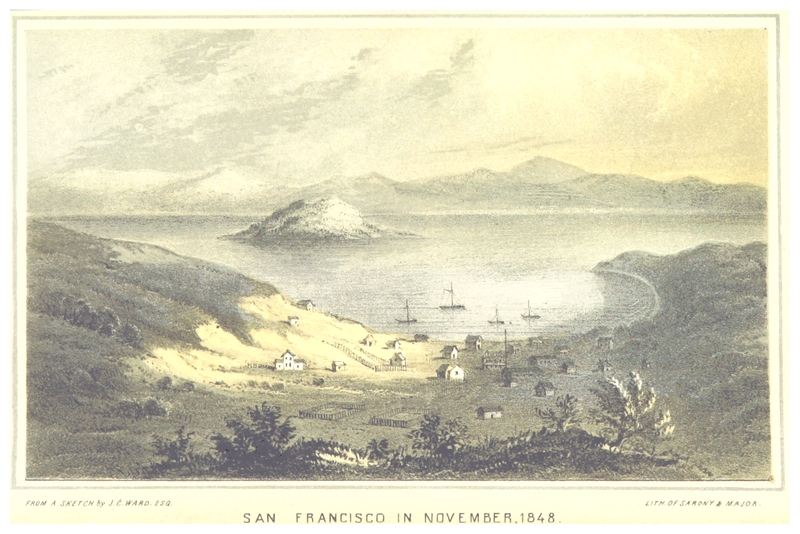 In June 1849, aged twenty-four, Taylor left New York by ship, made a hazardous journey across the Isthmus of Panama, and then sailed north, arriving in San Francisco after brief stops in Mexico. During the voyage to California and after arrival, Taylor regularly composed “letters” about the places and people he encountered, intending that each letter eventually be reprinted in the Tribune. Taylor’s letters duly reported on the Gold Rush. But he soon began to focus upon a story that he judged to be of more importance. With the shift in California from Mexican to American rule, an older society was waning in influence, and a new one was beginning to take shape. 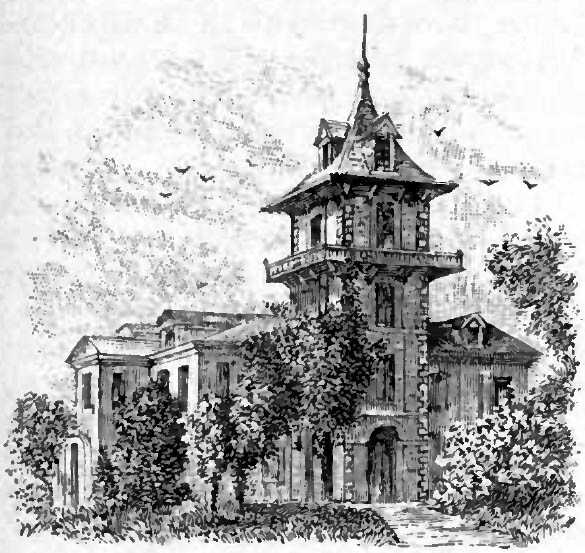 The challenge of adjustment was being intensified by the sudden arrival of thousands of migrants, and there was a possibility that Yankee California might be a house of cards if the gold ran out, the gold seekers left, and the area had no basis for any kind of life except the sleepy rancho society of the earlier Mexican period. In pursuit of his curiosity about California’s future, Taylor wrote articles covering many aspects of the world he encountered. 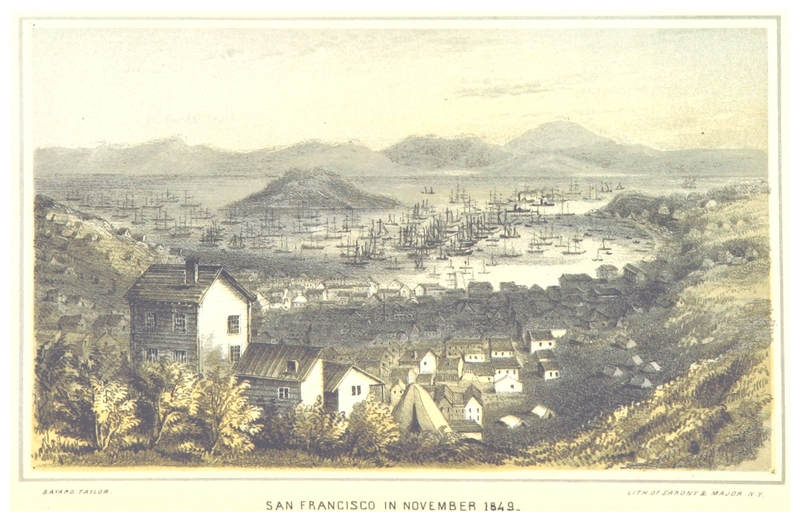 In San Francisco he described the phenomenally rapid physical growth of the city, the kaleidoscopic interplay of peoples as diverse as Hawaiians, Chinese, Chileans, Malays, and Kansans, the harbor crowded with ships, the juxtaposition of gambling dens and churches and the powerful energy one could feel at every turn. He journeyed by mule across the Central Valley and wrote vividly about mining camps in the Sierras. 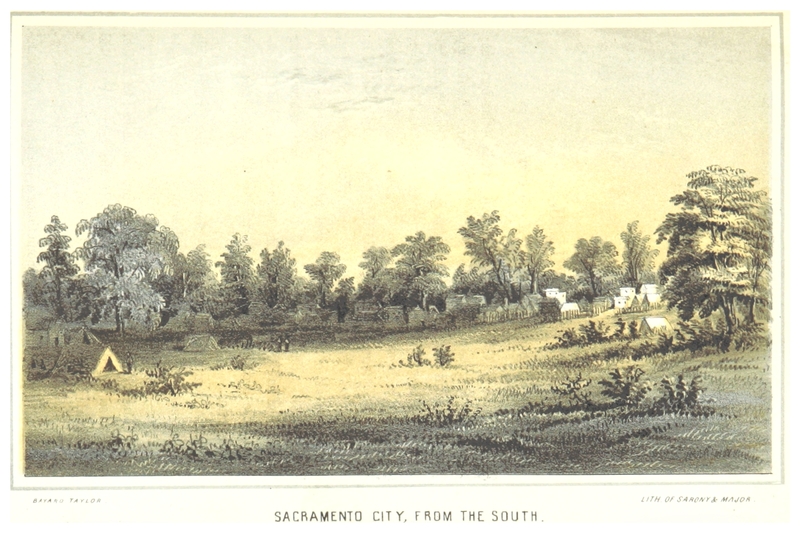 He traveled by schooner through the Delta to the new and rapidly expanding town of Sacramento. He explored deteriorating Spanish missions and visited ranchos still run by the original Mexican families. He walked from San Francisco to Monterey, stopping for numerous conversations along the way. Two aspects of California’s future interested Taylor in particular: One was government, the other the role California might play in the larger world. The first issue, government, was arising at a time when national political leaders in Washington DC were anxious to consolidate the United States into a transcontinental nation. Annexation of California in 1848, by means of the treaty that confirmed America’s victory in the U.S.-Mexican War, provided just such an opportunity. And eagerness to strengthen ties to California became even greater as the Gold Rush increased the area’s population, offered a new source of wealth for the Treasury, and provided secure locations for military and naval bases. The dominant concern of leaders in the East was speed in achieving these specific goals. What interested Taylor was the way in which political leaders in California made enlightened use of Eastern eagerness. 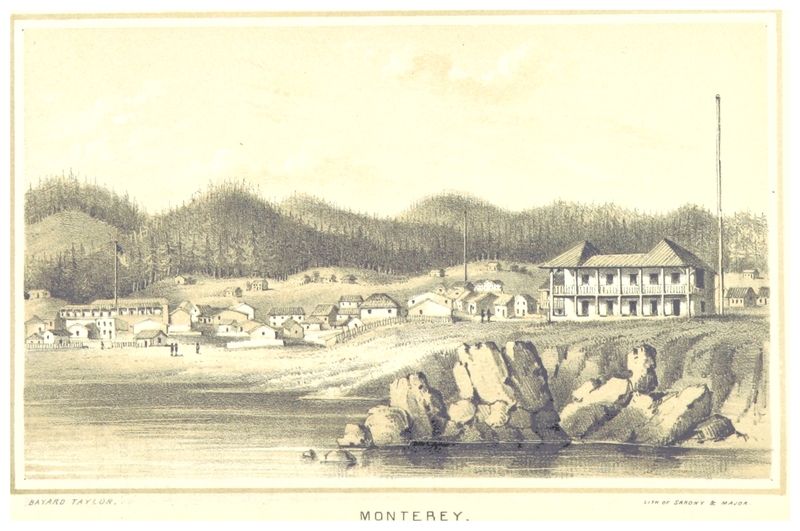 Rather than simply throwing together a hasty, slapdash proposal for statehood and sending it off to Washington DC, California’s leaders came together in a carefully deliberative convention in the temporary capital at Monterey and crafted a constitution that provided for growth that could be sustained even without a large supply of gold. Taylor was impressed by the conscientious, thorough manner in which convention delegates addressed difficult issues that had long-term implications. For example, the delegates carefully discussed slavery (voting to prohibit it), where to put the eastern border of the new state (locating it along the eastern side of the Sierras), and how to regulate land ownership (approving a system that integrated older laws based on Spanish land grants and newer laws based on Eastern forms of property rights). Taylor was also impressed by the inclusiveness of the convention. Many delegates were chosen to represent U.S. interests, including, for example, the military hero John C. Fremont, the prominent Monterey newspaper editor Walter Colton, and the landowner John Sutter whose properties near Sacramento had been the location of the earliest gold discoveries. But, Taylor noted, there were also delegates representing the earlier Mexican order, such as the powerful landowner Mariano Vallejo and Andres Pico, the military leader from southern California who had been defeated by Fremont and had signed the surrender documents. Broad representation of this kind would help to ensure an orderly political and economic future. After the constitutional convention ended, Taylor prepared to leave California, return by ship to New York, and oversee final publication of his “letters” in Horace Greeley’s Tribune, followed by collection of the articles into a book with illustrations based on his journey. But before departure he penned some final reflections concerning the larger question of California’s ideal role in an expanding America. Taylor imagined a California connected to the entire Pacific region. With enthusiasm he wrote that “the new Highway to the Indies, forming the last link in that belt of civilized enterprise which now clasps the world, has been established under my country’s flag.” He envisioned that California, with its varied topography, mixture of cultures, and potential for many kinds of economic activity, might well become “the Italy of the West.” Such a comparison has since become commonplace, but Taylor was among the first to make it. If Taylor could have returned to California in later decades, he would have seen that the state in many ways did not live up to his hopes. In the second half of the nineteenth century, California was marred by racist violence directed at Native Americans and Asians, profligate exploitation of natural resources, political corruption, and consolidation of land ownership in too few hands. Nevertheless, and thanks in great part to visionaries like Taylor who were present at its birth, California did develop in multi-faceted ways that have laid the basis for relatively stable political and social order and a very large role in the life of the United States and the world. 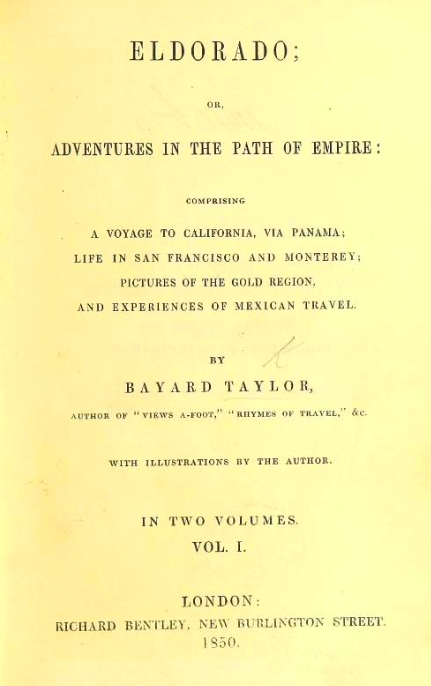 Eldorado: Adventures in the Path of Empire, based on Taylor’s reports in the New York Tribune, was first published in 1850. A modern, annotated edition was published in 2000 by Heyday Books and Santa Clara University.